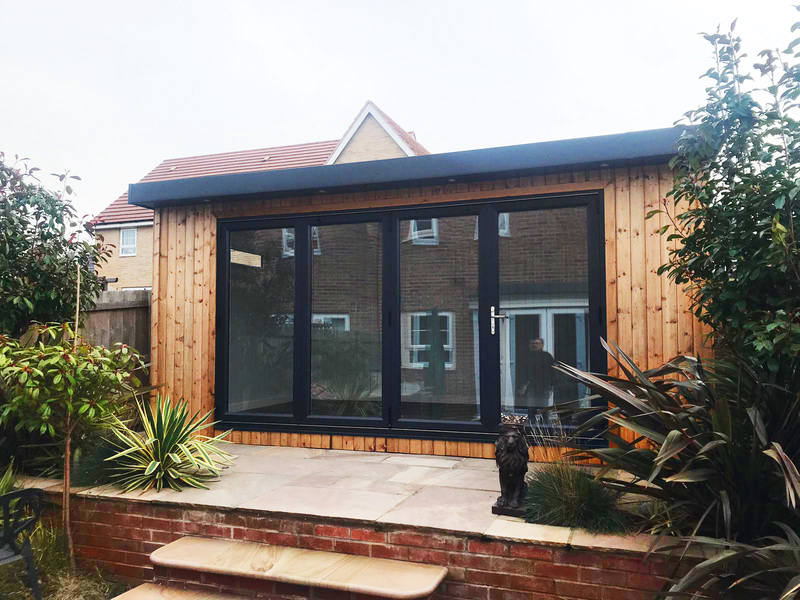 Cedral weatherboard is external cladding that not only looks like traditional timber but is also durable and incredibly low maintenance. Once installed this external cladding is guaranteed to last for at least fifty years. Combined from a cement composite, this cedral click cladding is ultra-strong, is Class A fire resistant and will not rot. 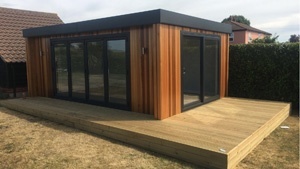 You can also choose from a selection of colours and wood finishes to personalise the appearance of your garden room. This type of cladding is recommended if you live in coastal regions. 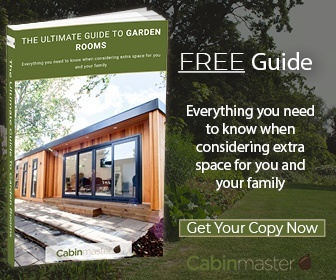 We can use beautiful Canadian cedar to construct a modern and visually stunning garden room. This wood provides an ultra-smooth finish, which can be enhanced by the use of secret nails, so only the wood is seen. Canadian cedar is weather resistant, available in a range of vibrant colours and is FSC certified. Another wood that we provide is that of the stunning Scandinavian Redwood Spruce. This wood oozes character and tradition with its knotty appearance. If you love the feel of wood in its natural state, then Scandinavian Redwood is the perfect choice. This wood is weather resistant, will not warp, and is PEFC and FSC certified. 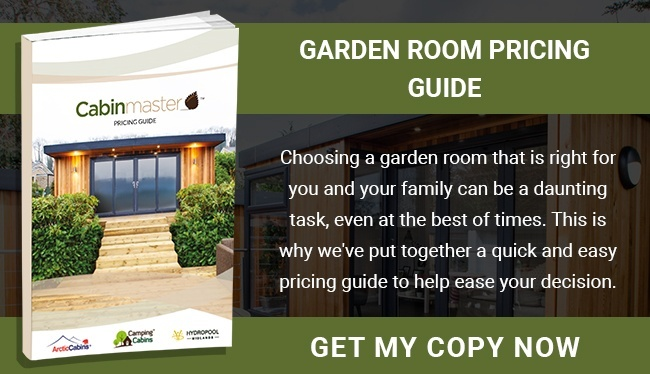 If you are looking for a more affordable option that comes with a hefty 10-year guarantee, then this is the natural choice. All of the wood that we use is FSC produced. This is covered with exterior cladding that is fire resistant and which contains a certified BBA breathable membrane. 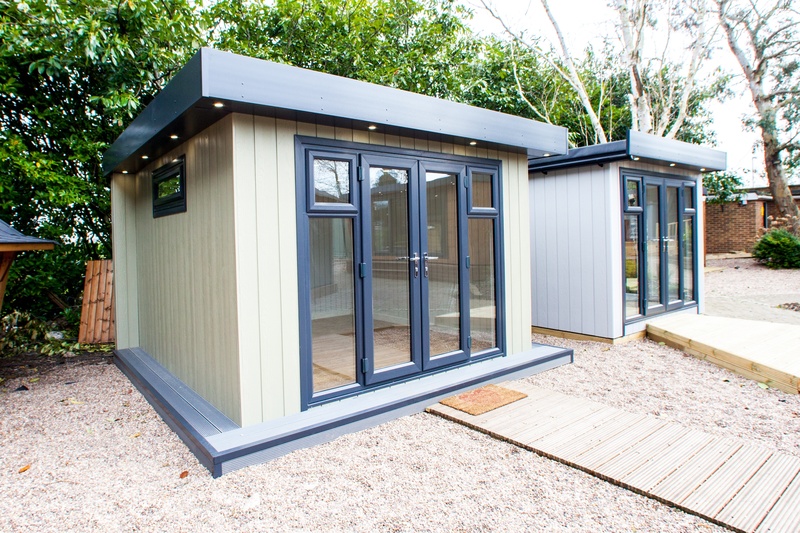 All of our garden rooms meet the highest quality standards, so you really are in safe hands. 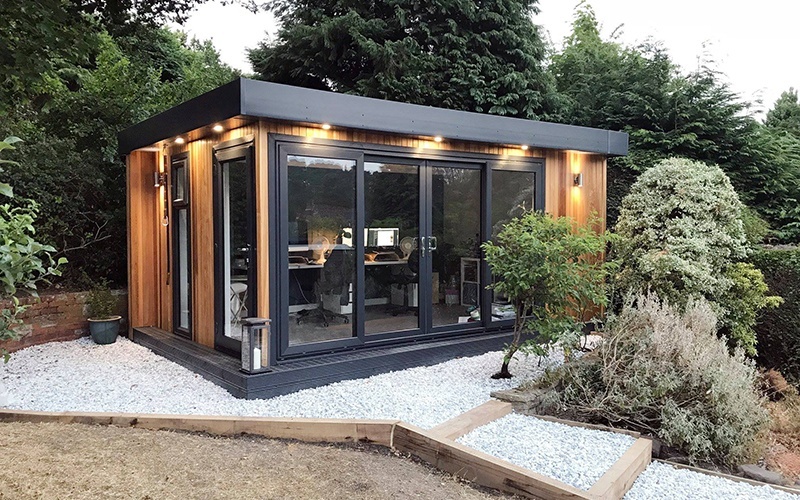 Manufactured here in the UK, our garden rooms are fully insulated with approved structural (C16) timber and thermal insulation boards, keeping you cosy and warm. 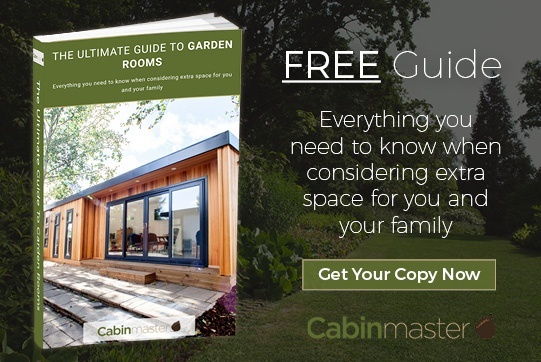 Why not get in touch today or come and see the buildings for yourself at our comprehensive show site in Nottingham and start planning your very own garden room.